As the title says I am doing a custom loop with gpu and cpu block a single 360 copper rad reservoir and pump standalone not integrated. This is the pump I am using. 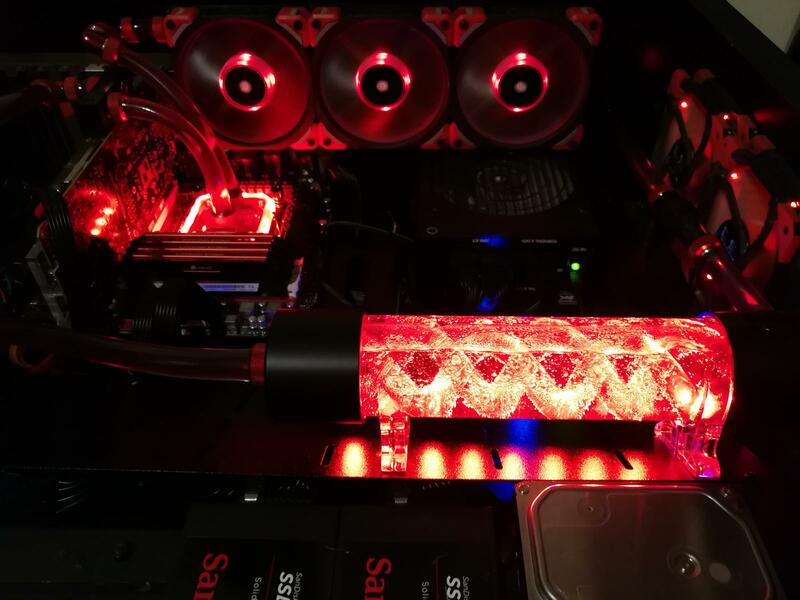 The problem I see is that if you have 3 hoses all the same size and try to take 2 of those flows into one, you will get a massive bottleneck and reduce flow significantly to everything and will compromise cooling. Might help if you have dual rads to run the flow through separate and then rejoin the flow but it will still be a lot less effective I would think. I am no expert so hopefully someone with more knowledge will chime in. Gonna be nice. I cant wait for some pics!!! ok so I have received all the fittings and coolant but still waiting on the gpu and cpu blocks, reservoir and pump. should be next by next Friday according to estimate delivery from supplier. It has taken until the 10th jan to receive all my parts. I noticed from my formulamod parts I also ordered 2 1/4" threaded and barbed fitting for the rad that they didn't send and instead sent me 2 double ended barb fittings with a little extra tubing so I can make the same config. I wasn't to fussed but it added a little extra length to my rad on one side but I made do with it as this has taken 58 days to arrive. This is what I had to do in the end. I then noticed the reservoir was the right colour and size but both end caps was meant to be the same so I could have the cold cathode and an inlet and outlet on either end reducing my hosed length and reduce turbulence in the res for safety, but none the less I ditched the uv cold cathode so I could use the 1/4" cold cathode inlet as an outlet like I wanted. I then had an issue with the pump after i put it together. It wasn't pushing hard enough to move any water. I spent like an hour to finally realise the manual rgb controller was the culprit and alas the pump started flowing at full speed (no led ) without problem once the controller was removed. This is how I ended up installing my pump. Finally all was well and my system was up and running. I did 2 hours leak testing and all was sealed beautifully. so I turned the system on and tested the cpu temp and gpu temp to see what improvement if any was gained. CPU got 30 idle and 55c on hottest core (49c, 55c, 53c, 49c) 2c lower on all cores vs previous aio. gpu was idle 28c but load hit 92c instantly so I quit the benchmark. I drained the system reseated the gpu block and got 75c stable and it remained there after 2 more reseats. I contact formula mod and told them about it and they said a refund would be given upon receiving the gpu block including delivery both ways. This was the GPU block I used that was the culprit. 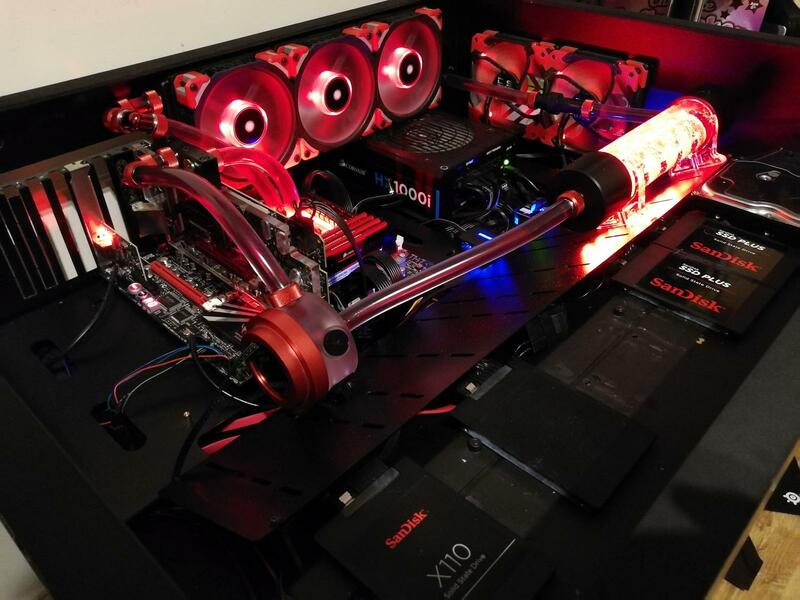 I then purchased the ek-fc 1070 gpu block and installed it on the 11th jan. Fantastic I was getting 42c max gpu temp. Even vrms was only hitting 65c over 88c on previous block and 79c on previous aio. 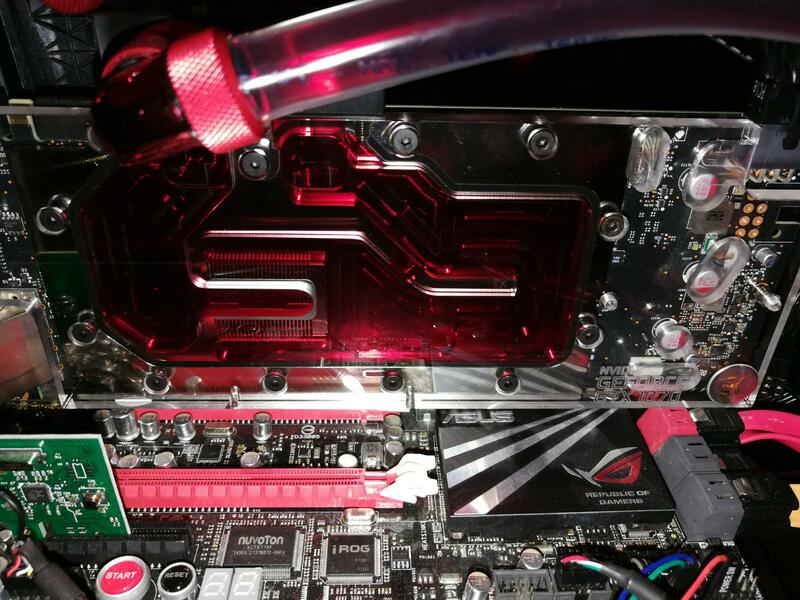 This is how the EKWB GPU block is installed. So here is my fully install system. Not the greatest as not everything went to plan and a few adjustments had to be made but I like it for my first custom build. 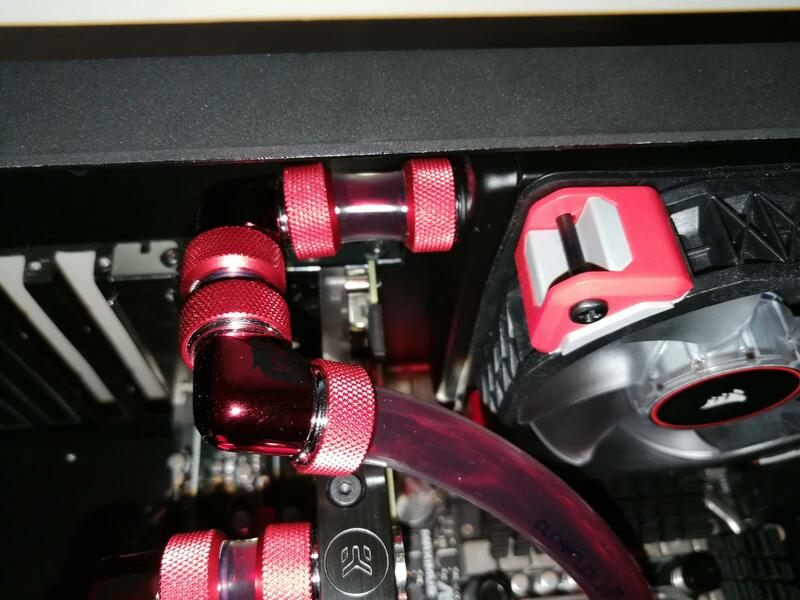 1: Shorten the 180 degree radiator tubing to make it more flush and straight. 2: Move reservoir one screw fix point to straighten the radiator to reservoir tubing. 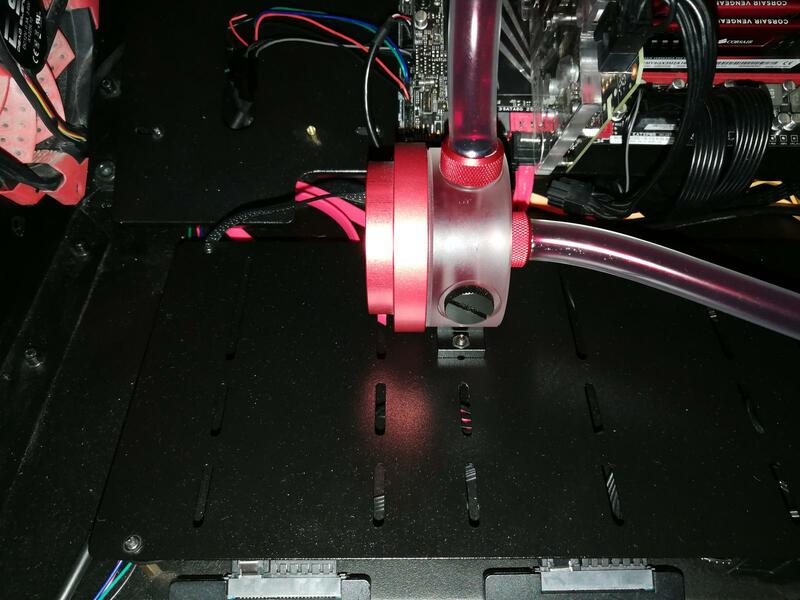 3: Move pump up a little and add a 45 degree compression fitting to remove the arch tubing from pump to GPU block and make it straight. 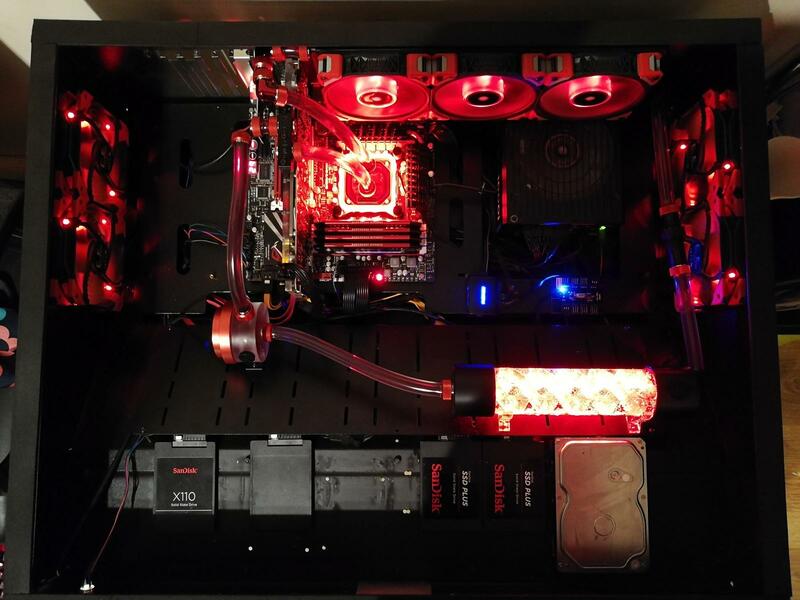 4: Add red led's to GPU block, move fan and RGB hubs to a better locations out of sight and more cable management where possible. That is a great looking setup! 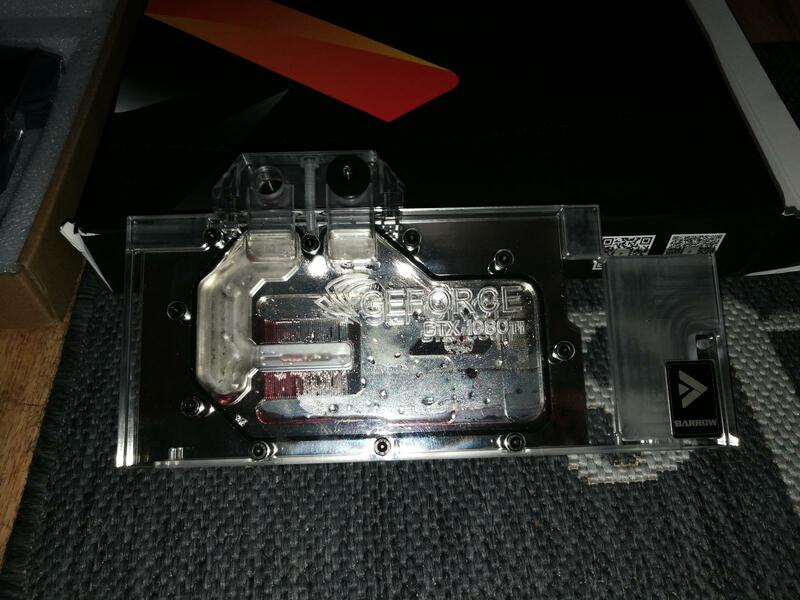 So I even though I just built a custom water loop for my 2600k, I decided to upgrade my CPU to 9700k, ASRock Z390 Phantom Gaming 6 and Corsair Vengeance DDR4 2666mhz. The parts arrive tomorrow and will be installed as soon as I get it. Will post screenshots of my 2600k @ 4.8ghz OCCT non AVX temps and compare them to the 9700k at 4.8ghz with the same software. so I had an unexpected fire about 4pm yesterday. for no reason my pcie port went up in flames instantaneously and fried the mobo and gpu. 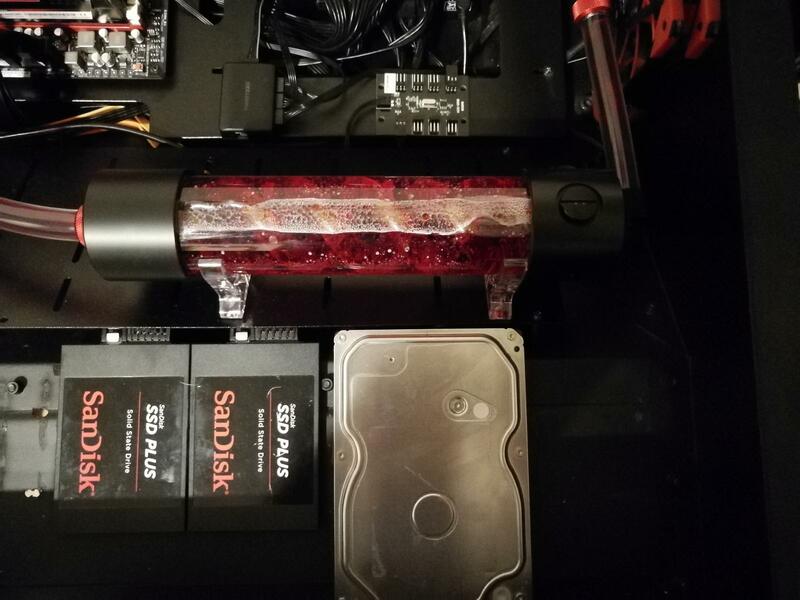 I looked to see if my gpu had leaked and nothing. tested the pump and seperatly to the system using mobo jumper so only the fans and pump powered and no leak. what on earth could have done this? Bummer. Must be some kind of leak. A drop of water is enough. My system is running without maintenance and leaking for 7 years now but I did extensive trials for leakage before firing up the system. Sorry for your loss. Hopefully it's just the MOBO Did you try putting water towels everywhere, while only the pump is working? If not, try that and you will see if the slightest drop of liquid would leak anywhere. Already done 1 hour leak testing before I ran the system and not a single drop. Then after 30 mins of the system running sweet as a nut during timespy benchmarking the pcie port went up in smoke. I jumped up to turn the system off at the mains and as I did the fire burst out and fried my gpu and mobo. I leak tested again just the pump and nothing. I now worry that I did something else to have made this happen and I wont be able to rma the board and the gpu and have lost £1200.